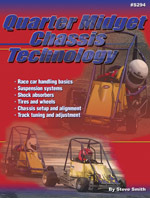 Includes a complete guide to understanding and adjusting handling problems. Everything you need to know to get your car competitive. Applies to both paved and dirt tracks.